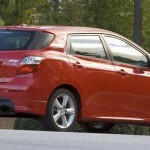 The 2009 Toyota Matrix is a 4-door, 5-passenger Wagon available in 7 trims, with trims ranging from the Base 5-Speed MT to the XRS 5-Speed AT. The Base 5-Speed MT has a Std. 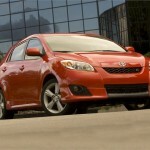 1.8L 132 hp I4 that gets 26-mpg in the city and 32-mpg on the highway, while on the high end, the XRS 5-Speed AT has a Std. – 2.4L 158 hp I4 that gets 21-mpg in the city and 29-mpg on the highway. 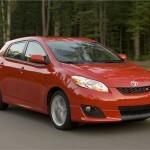 The Matrix Base 5-Speed MT is priced at $16,190, while the Matrix XRS 5-Speed AT can be had for $21,850.